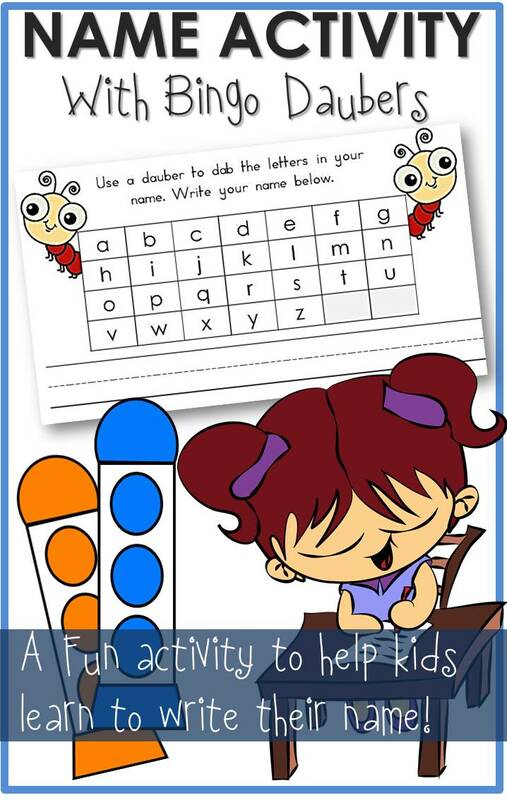 Here’s another cute activity to teach your child about the letters in his/her name! They’ll have fun using bingo markers (also known as dot markers) to daub out the letters of their name, and then writing their name on the lines below. Download it right now, below! Kids love any activity with dot markers! So, have your child memorizing his/her name in no time with this printable Name Activity Bingo Daubers worksheet!